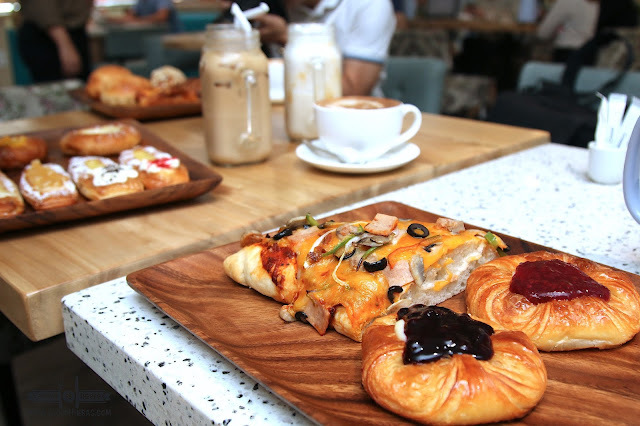 When one visits a bakery, usually it would be easy to overlook the other dishes that they may serve. It might be all about bread but this is not the case at the newest VIKING around. 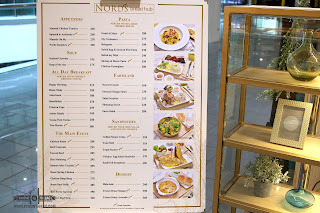 At NORD'S BREAD HUB in SM NORTH EDSA THE BLOCK, one of the reasons to visit would be their ala carte menu. By no means should you skip the bread, it's their breadwinner. All I'm saying is that their ala carte menu can take care of its own. Aside from all the savory and sweet carbo delights, the meals are pretty much delicious and competitive with other restaurants. 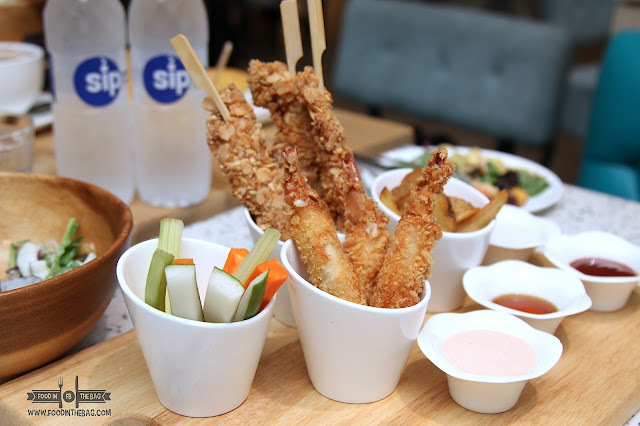 The NORDS Sampler has a combination of shrimp dynamite, almond chicken tenders, fries and potato wedges. These are partnered with different house dips to make them more interesting. 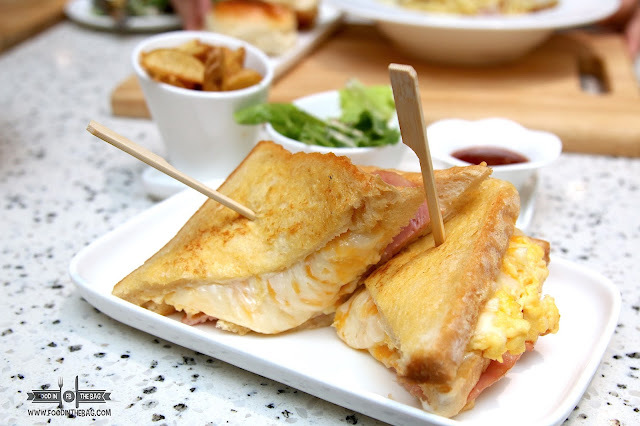 A definite must try would be the GRILLED MONTE CRISTO. Think of a cheesy ham and egg sandwich. Perfectly served with layers of French toast. The cheese was gooey and oozing out. 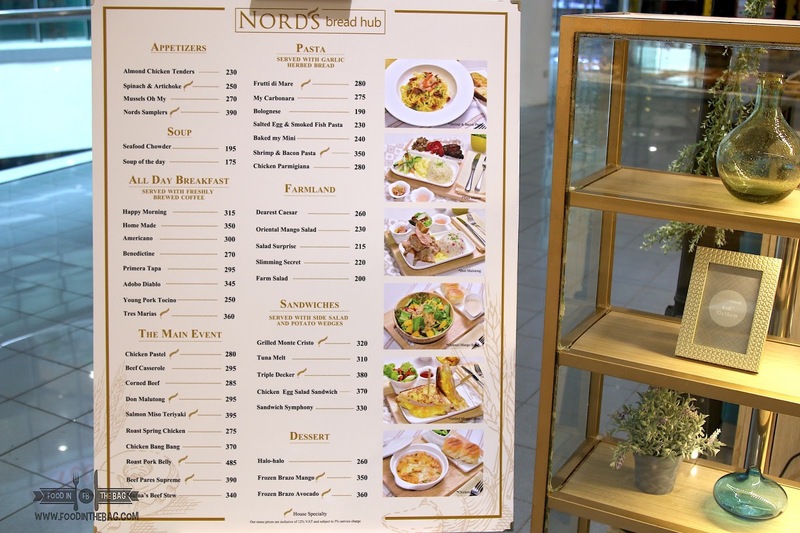 For something healthy, NORD'S BREAD HUB has a number of salads to try out. 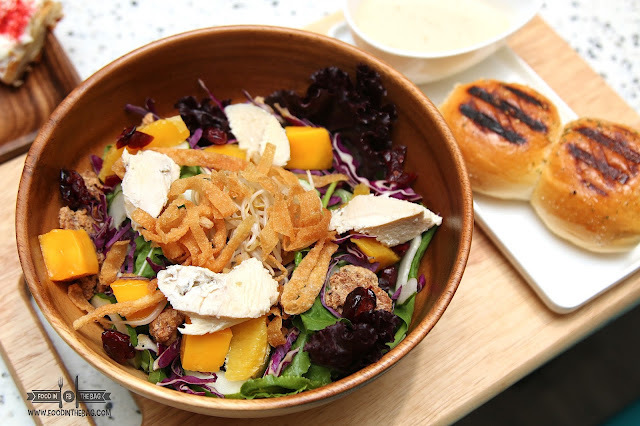 The ORIENTAL MANGO is a mixture of lettuce, red cabbage, mandarin oranges, mango, and other veggies. Thankfully, there was chicken and crispy wanton strips on top. It's not that it wasn't delicious, it's just that I'm not really into salads. 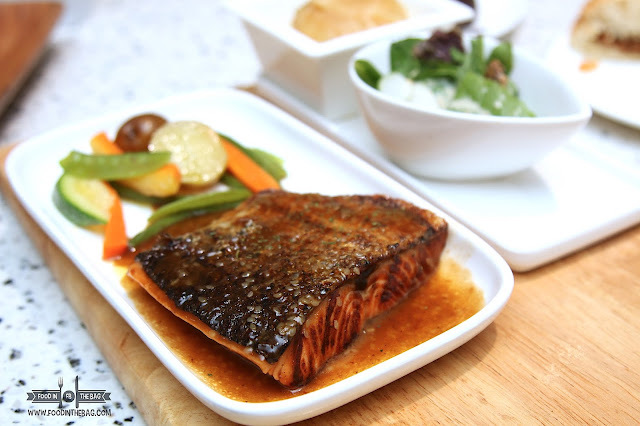 The SALMON has a miso teriyaki glaze giving it a sweet touch. Flaky and not overcooked, it's pretty good with a cup or two of rice. 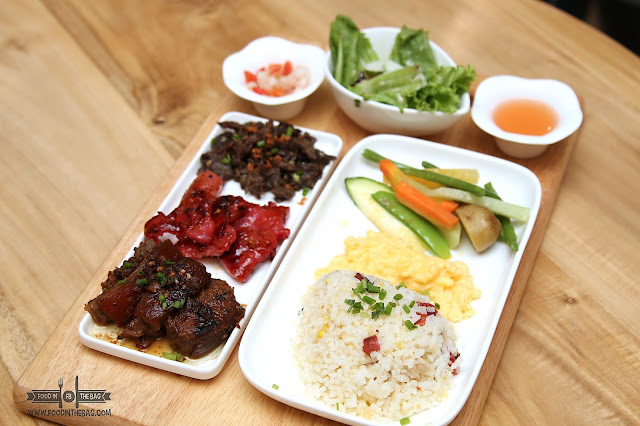 Speaking of rice meals, the TRES MARIAS is a combination of adobo, tocino, and tapa. Partnered with the chorizo rice, vinegar would be the perfect sauce. 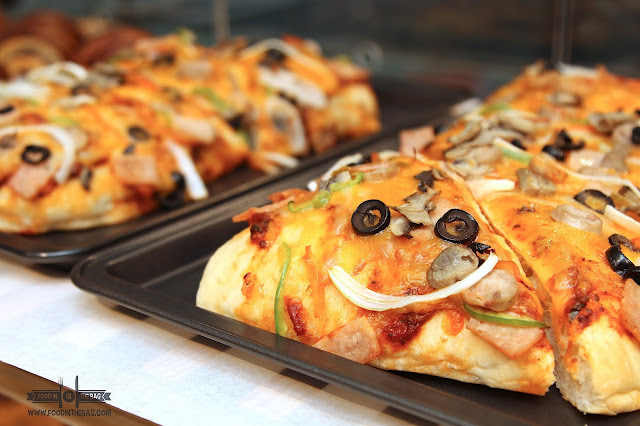 ANOTHER CROWD favorite would be the Don Malutong. 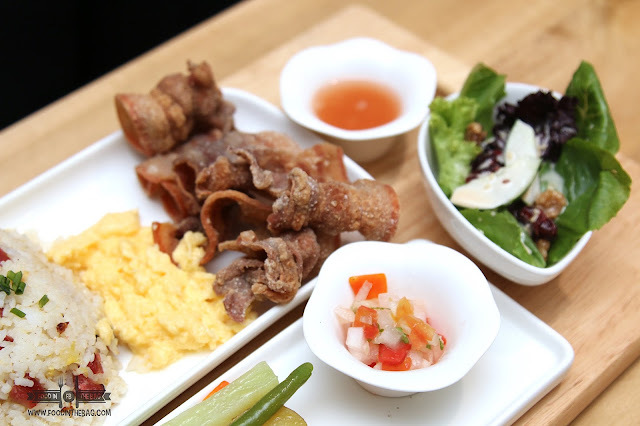 Here, Crispy Pork Belly are produced to create an amazing texture play in your mouth. It's like crunchy bacon perfect for anytime of the day. 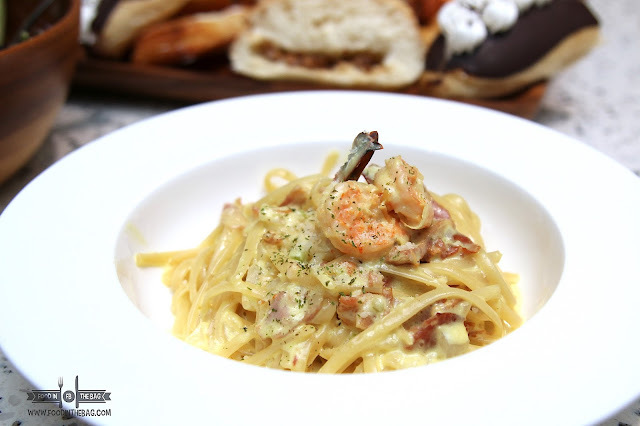 A surprise unique dish would be the salted egg and smoked fish pasta. The egg wasn't over powering but it did give the oomph this dish needed. The pasta was al-dente and made it just right. 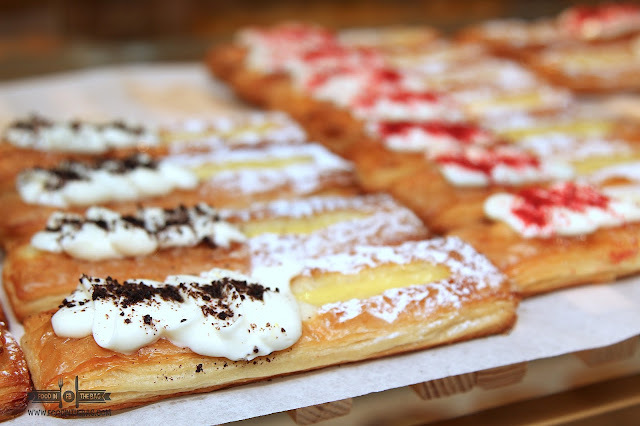 Since this is a bakery, patrons have a number of sweet pastries to try out for dessert as well. Favorites would be the danish. Made with different flavors, you can't go wrong with the oreo. 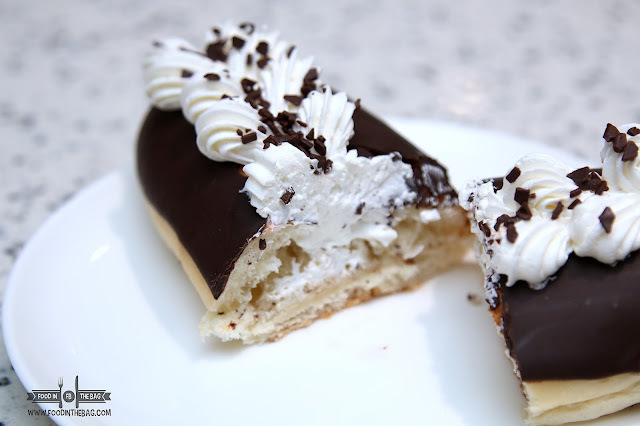 Better yet go for the choco custard is just something that is fun and straight forward. Opened just a few weeks ago, NORD'S BREAD HUB is something that could break the monotony that hounds the bakeshops in the metro. 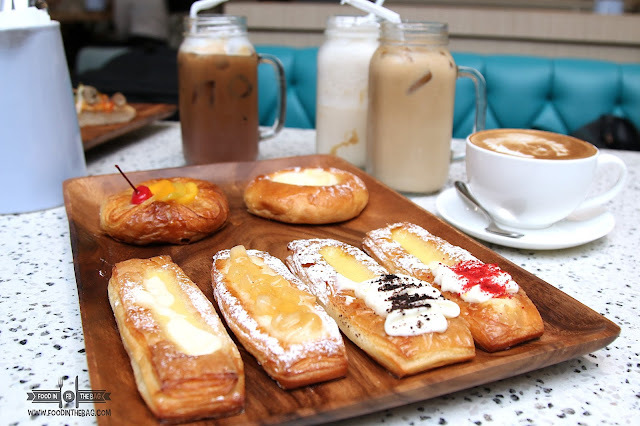 Aside from serving sumptuous dishes, they also have lots of sockets for laptop and phone users. Plus, they have books which you could exchange with your old ones.